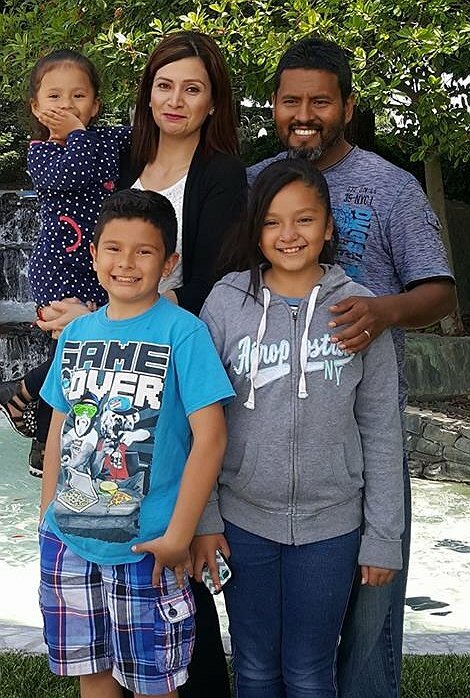 Luis Alberto Calderon of Farmersville CA, needs a kidney transplant and needs the support of his community, family and friends to make it happen. Transplants are very expensive and there are many costs that Luis and his family are not going to be able to cover by themselves. Luis has been having kidneys problems since he was 10 years old. However, the doctors keep on telling him that as he was going to grow up, the problem could get better or worse. Unfortunately for Luis, his kidney problems got worse. Four years ago, at the age of 31, Luis was informed by his doctor that his kidneys were working only at 8% and that he needed to start dialysis ASAP; Luis’ life change drastically. For all the people that knows Luis, they know that his passion was to play soccer and that he is very friendly. Now this all changed due to his health. All Luis has time for is work and dialysis. Every night he does dialysis treatments at home after he comes from work. His only chance to get better is a new kidney transplant. Luis’ wife, Erica will be donating the kidney to Luis. But funding this life saving procedure is a very expensive cost, as there will be many medical expenses not covered by insurance: co-pays, anti-rejection medications, Luis travels expensive to the hospital and more, are adding up to more than what Luis family can handle alone. To help with the financial burden of uninsured expenses, a fundraising campaign has been established in honor of Luis Alberto Calderon with Help Hope Live, a trusted nonprofit organization that has been providing community-based fundraising guidance to help patients and families in need for more than 30 years. All donations are tax deductible to the full extent allowed by law and are held by Help Hope Live in the Southwest Transplant Fund in honor of Luis Alberto Calderon. Donations are allocated by Help Hope Live based on financial need for medical expenses. Please consider making a contribution today. On behalf of Luis Alberto Calderon and his family, we thank you in advance for your kind and consideration. Good morning everyone I have some excited news to tell everyone. Thanks to god and my wife Erica, we finally have a surgery day for the kidney transplant. The surgery is schedule for March 19 2017. Thank you to everyone that has been donating to this page, my family and I really appreciated it. God bless you and have a nice weekend. good morning, i want to thank every one that has been helping so far. My family and I really appreciated this, god bless you with more.